A party is just a party unless you know how to turn it into one they'll be talking about for years to come. It doesn’t really matter what kind of party you are planning; the right confetti cannons can add that blast of fun nothing else can. Pick your event and Wedding Sparklers Outlet has the perfect party confetti cannon to turn it into one to remember. Let's take a look at the possibilities. There is nothing better than a great tailgate party just before the big game. Hot food, great beverages, blankets, and good friends. Just before you head into the game, a sudden confetti cannon burst showers the entire party in a sparkling array of color. What a fantastic way to put an exclamation point on your tailgate party! 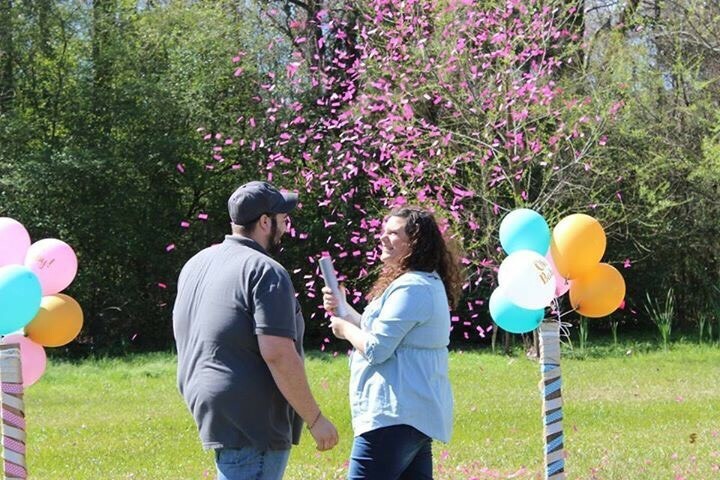 Why not turn your baby shower into a gender reveal party! This is the perfect time to let all of your friends and family in on the secret you've been hiding for weeks. You could do it with an appropriate colored cake, or maybe the appropriate colored decoration, but how boring is this? Everyone does this, you simply couldn’t get more traditional or predictable. But what else is there? Why not check out our selection of gender reveal confetti cannons available in pink or blue? Your varsity basketball team is playing in the finals and are ahead by more than enough to win. You want to do something special for them to show every player just how much they are appreciated. Since your school really frowns on the idea of dumping Gatorade over the players, we have a much better idea. Why not give the fans and those players not on the court their own party confetti cannons? This way when the final buzzer goes off and the crowd goes wild, everyone can shower the players in a rainbow of colored confetti. What an amazing way to celebrate the end of a great season! If ever there was one night of the year when your party needs to be unforgettable, it has to be New Year's Eve. Your job as host is to provide the perfect meal, snacks to die for, and of course, the perfect way to "ring" in the New Year. Party favors, whistles, horns, they're all so passé. No one wants to celebrate the New Year with last year’s ideas. This year, make sure each of your guests has one of our confetti cannons to fire off at the stroke of midnight. Your party will be the envy of your friends for a very long time to come. The best way to decide which of our party confetti cannons are the right ones for your next party is to visit Wedding Sparklers Outlet and browse our selection. We offer several styles, including some with eco-friendly, biodegradable confetti. All are safe for indoor use as the confetti is fired off using nothing more than compressed air.